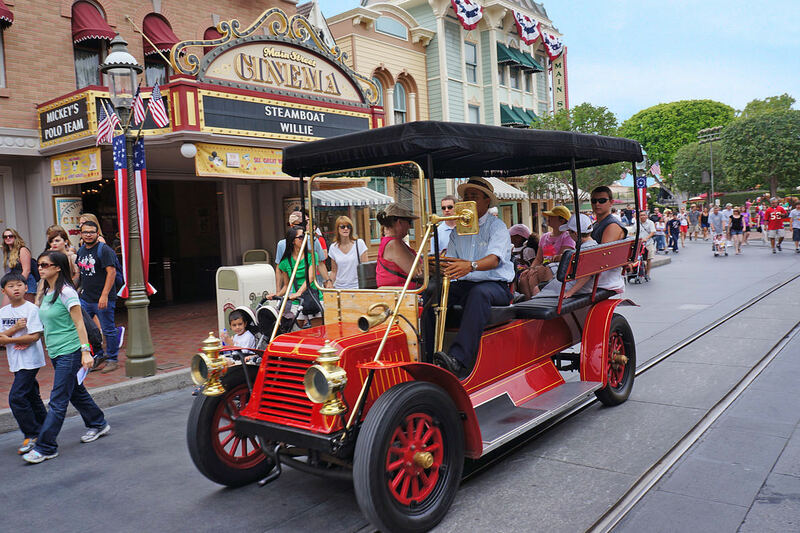 Much of the charm of Main Street comes from the assortment of old-time vehicles that putter up and down the street, taking guests on a one-way trip, to or from Town Square. 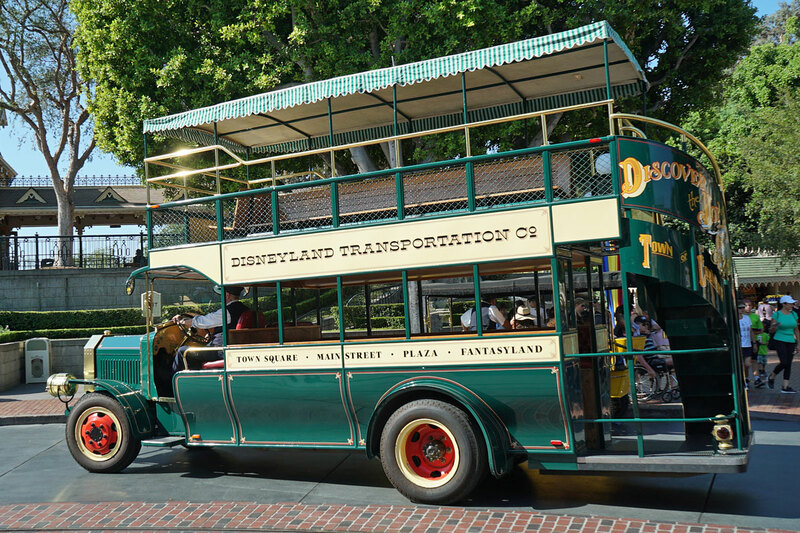 Most of the vehicles have been around since the park's opening. 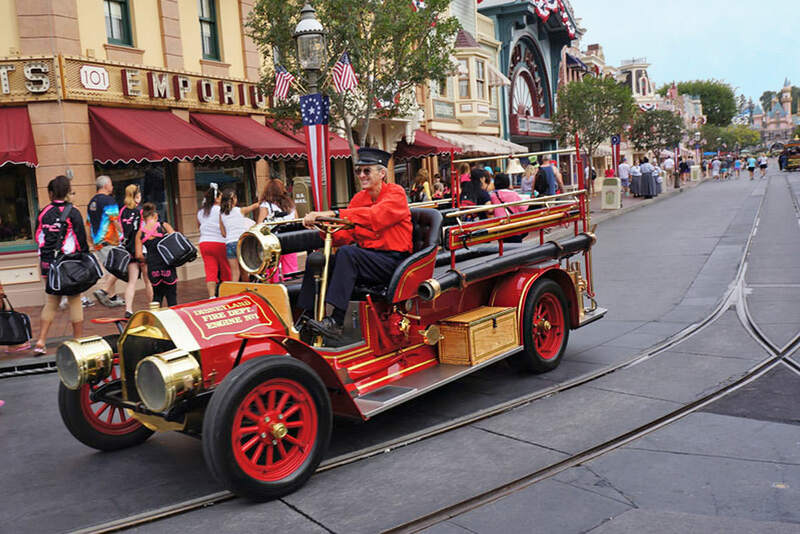 The Fire Engine, though, actually didn't make an appearance on Main Street until three years later, in 1958, making it the last vehicle to be added. 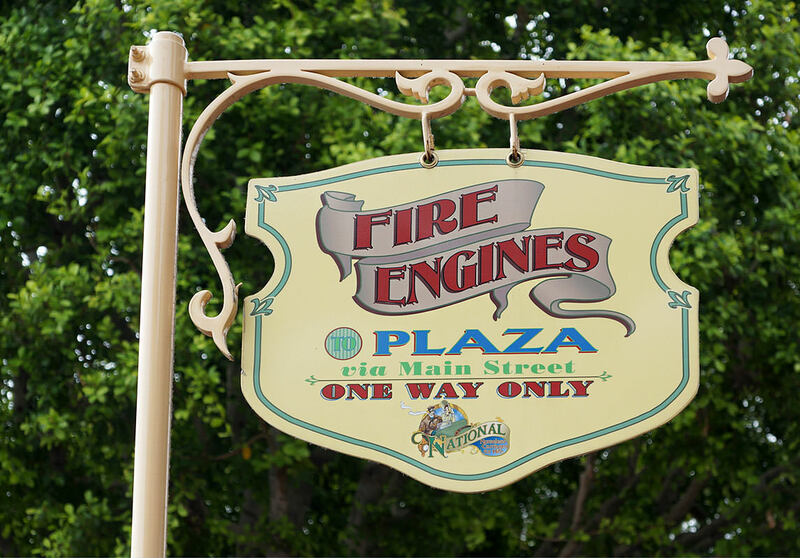 The Fire Engine, like all of the other Main Street vehicles, was designed by Disney Imagineer, Bob Gurr, who created most of the park's early transportation vehicles including the Monorail and Matterhorn Bobsleds. The Fire Engine replaced the Horse Drawn Fire Wagon, which was retired, and can now be viewed in its permanent home inside the Fire Station. 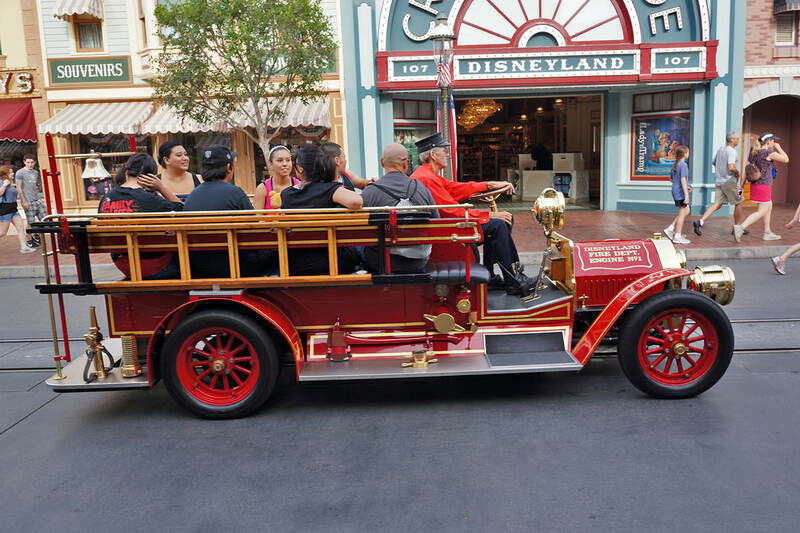 You can catch a ride on the Fire Engine from its boarding spot in front of City Hall. 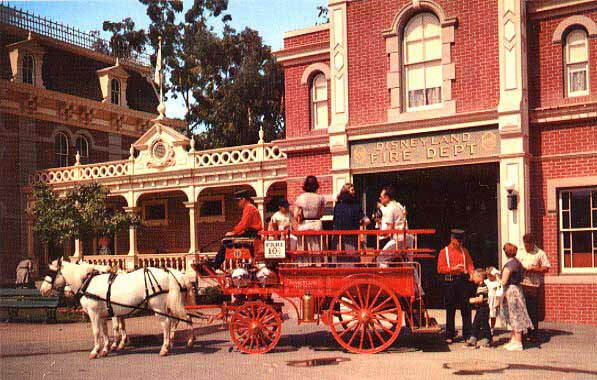 When the park used tier ticket books for the attractions, the Fire Engine, like all the other Main Street vehicles, was an "A" Ticket attraction, the simplest of rides. 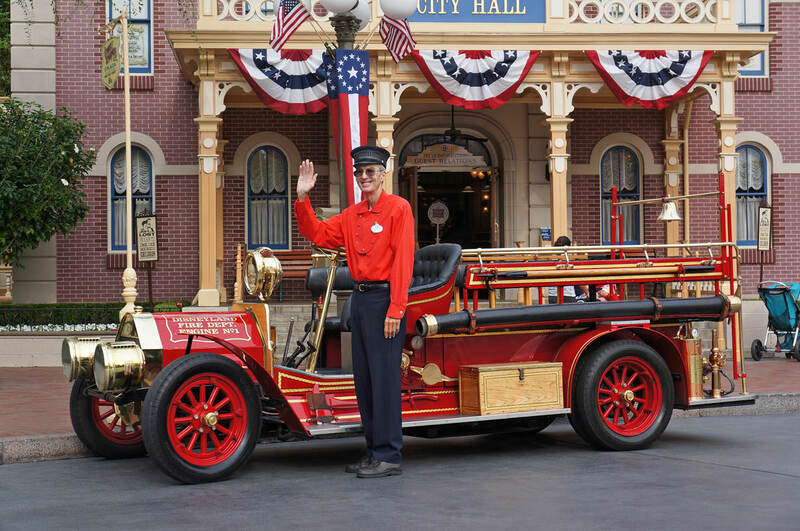 The drivers of all the vehicles are always friendly and are excellent sources of information for guests with questions. 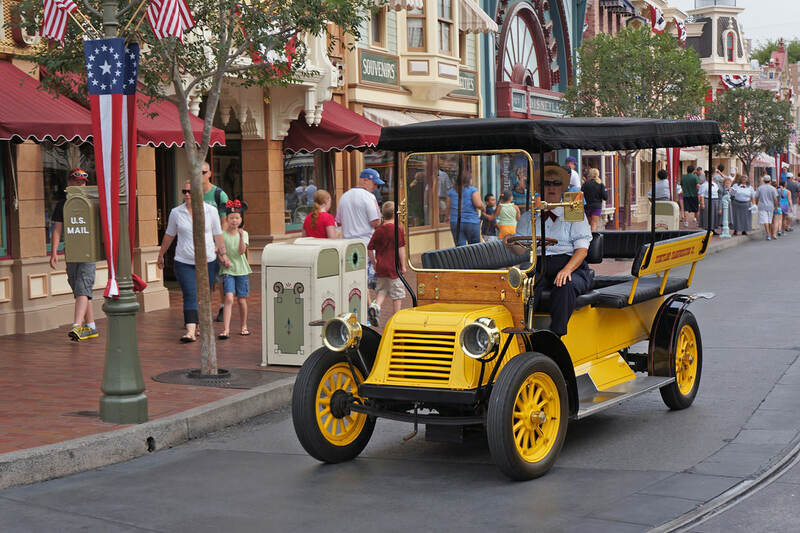 I love the mainstreet vehicles. Can't wait for more! 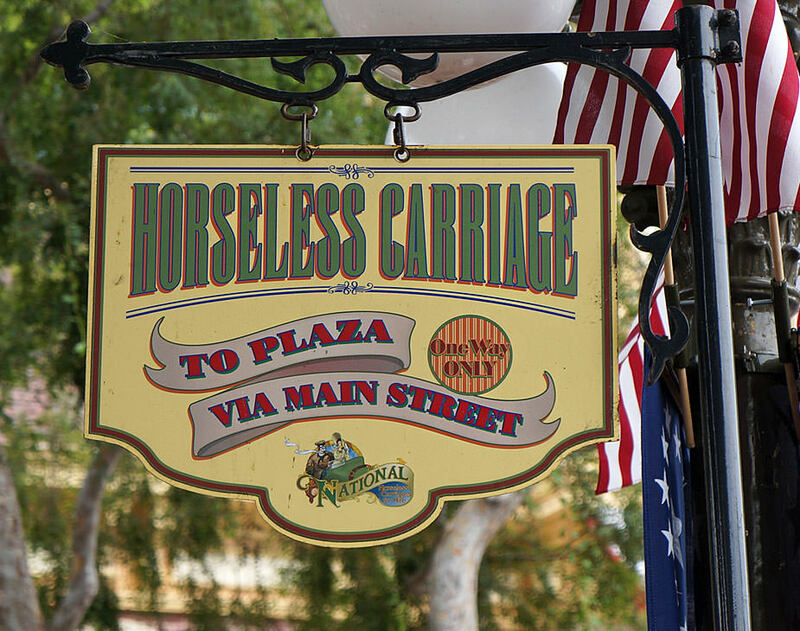 Another way to ride up and down Main Street is via the Horseless Carriage. 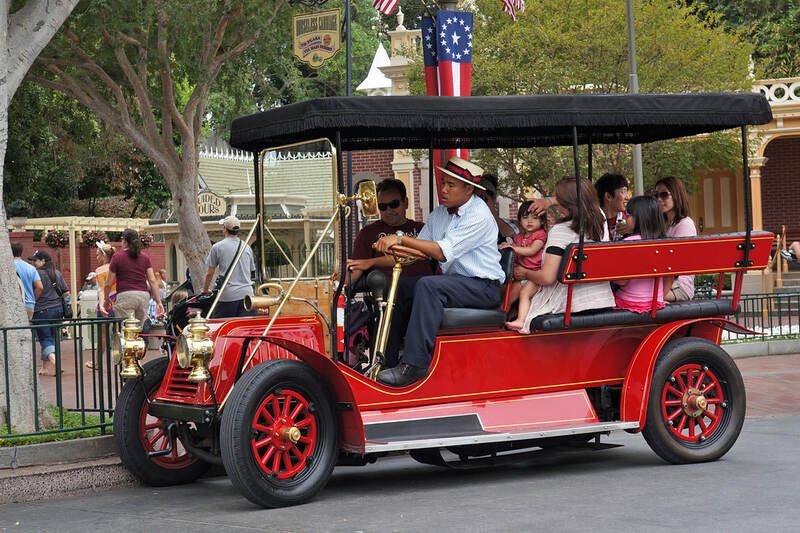 Making its debut at Disneyland on May 12, 1956, was the red Horseless Carriage. 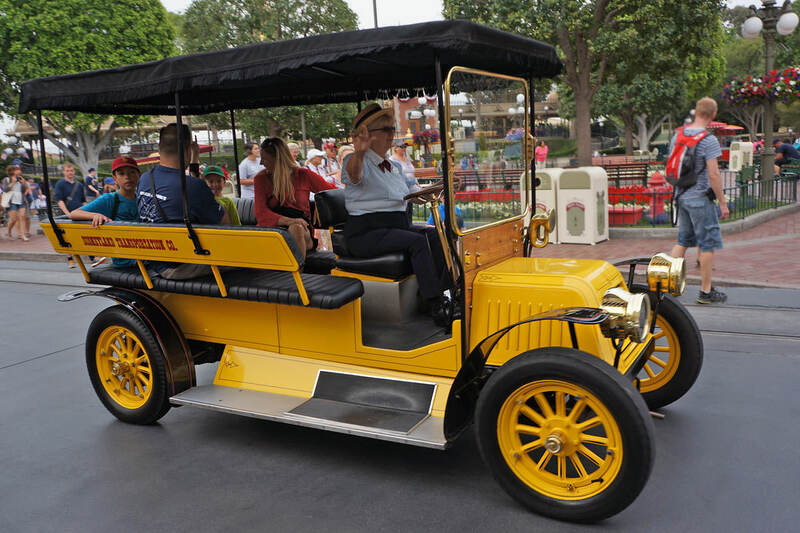 On Dec. 6, 1956, the yellow Horseless Carriage made its first appearance. 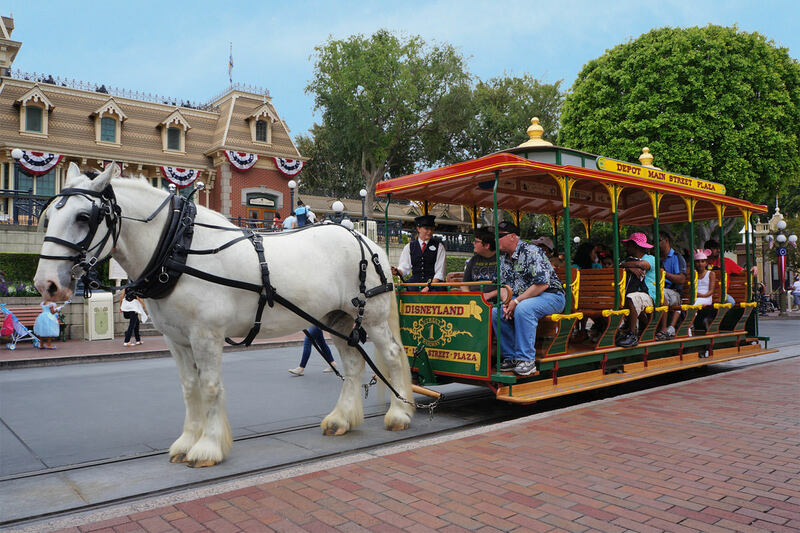 Today, both carriages are still in operation, taking guests back and forth between Town Square and the Plaza. 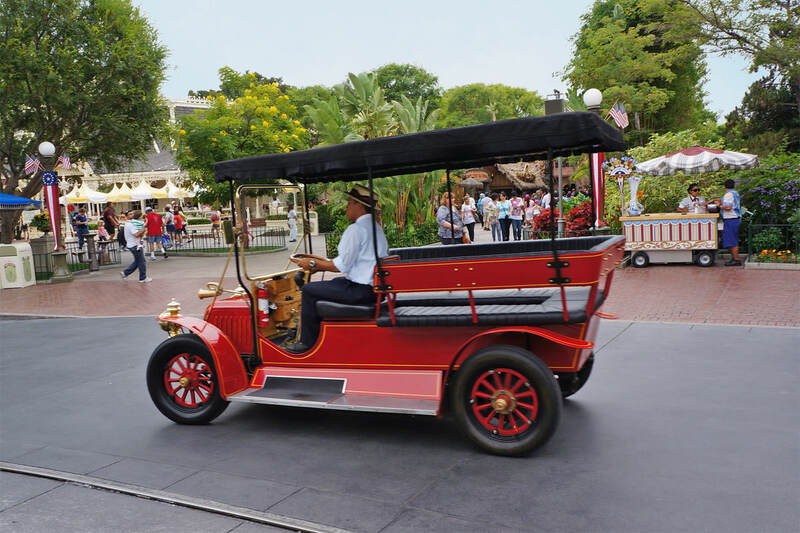 These vehicles, like all the Main Street vehicles, greatly add to the charm of the land, and help transport guests on a trip back in time. Nice photos! Giving me inspiration for my Main Street refurbishment. 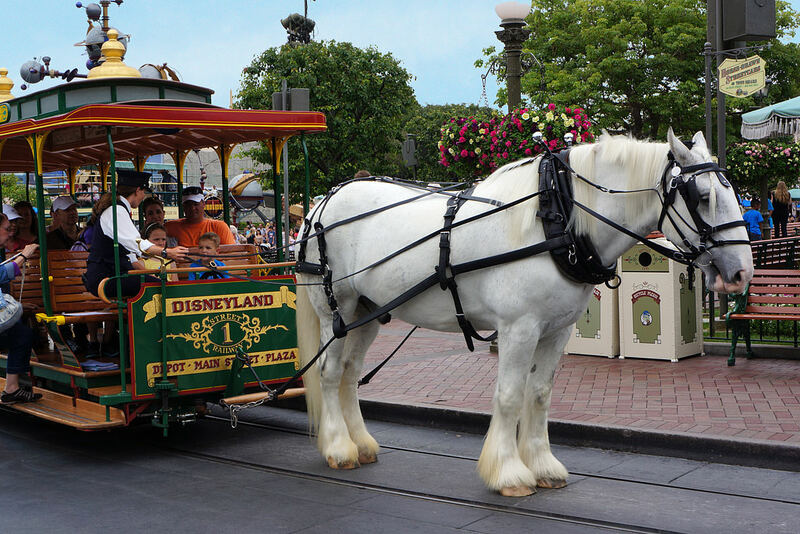 The most popular vehicles with guests on Main Street have got to be the Horse-Drawn Streetcars. 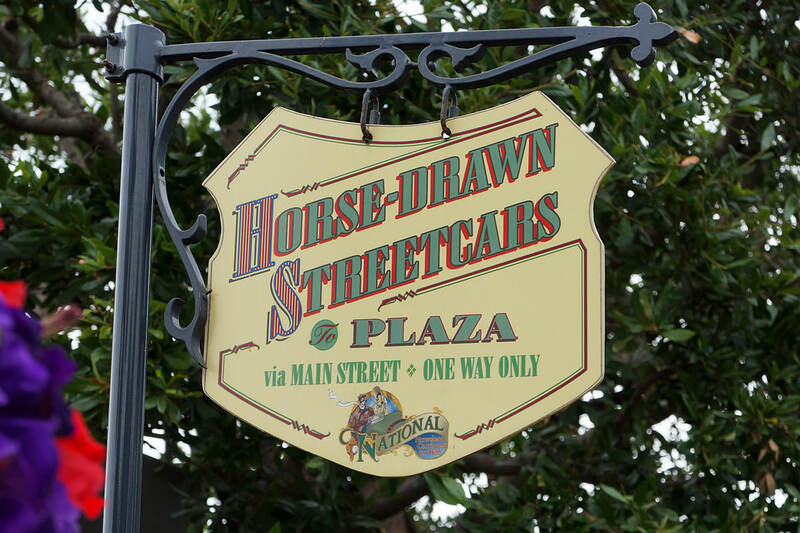 The Horse-Drawn Streetcars are the only Main Street vehicles that have been in operation since the park originally opened. 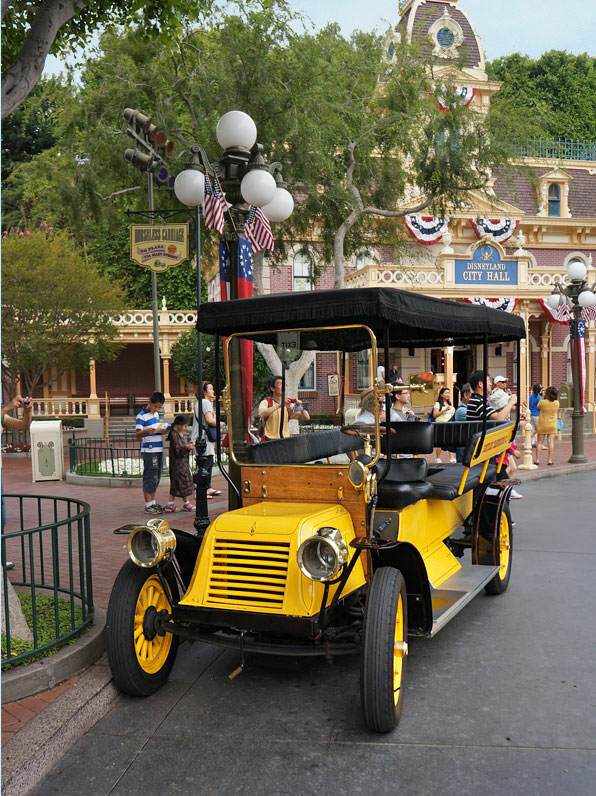 These types of vehicles were were popular in towns throughout America from the mid-1800s through the early 1900s, until motorized vehicles replaced them. The horses used to pull the antique vehicles are large, beautiful draft breeds...Percherons, Belgians, Brabants, Shires and Clydesdales. This is Brother, a Shire draft horse. The horses typically work three hours per day, three days per week, during the daytime. 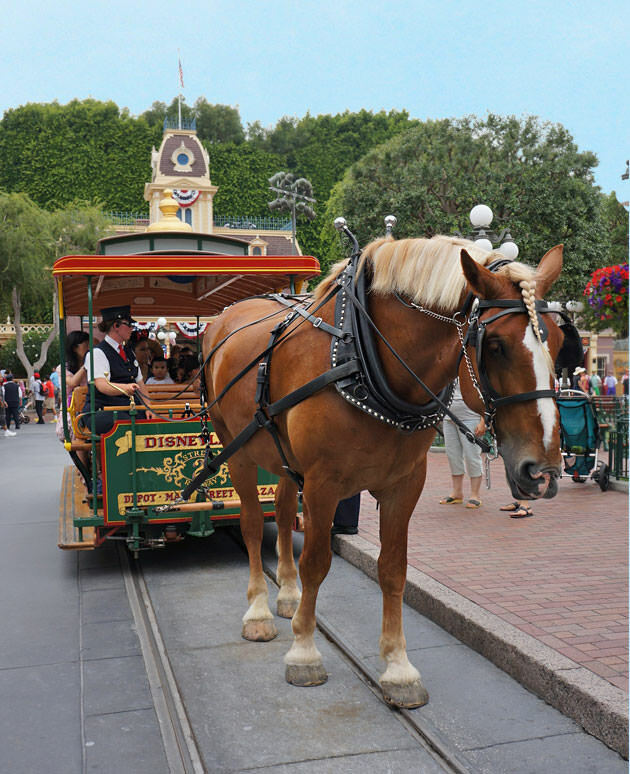 When it’s too hot, the horses retire and the streetcar doesn’t run. The streetcars are removed and stored backstage behind this gate during the evening hours and when large crowds make it too difficult to keep them running. 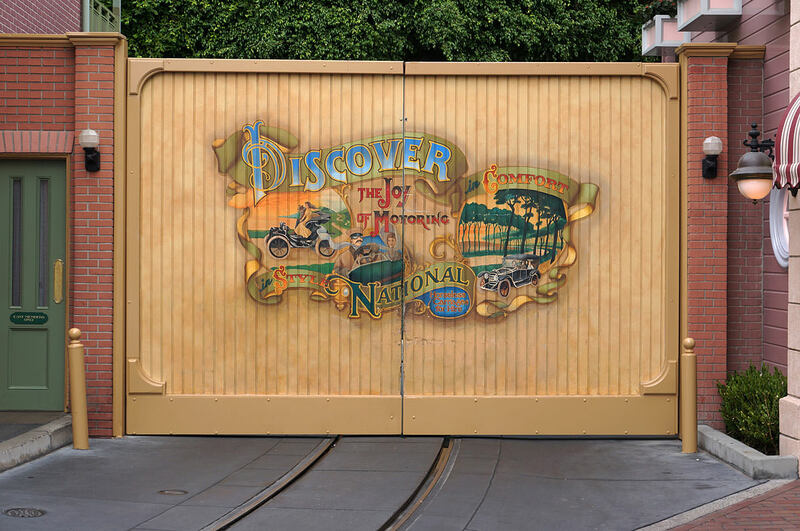 The colorful ad for National, the attraction's former sponsor, has since been removed. 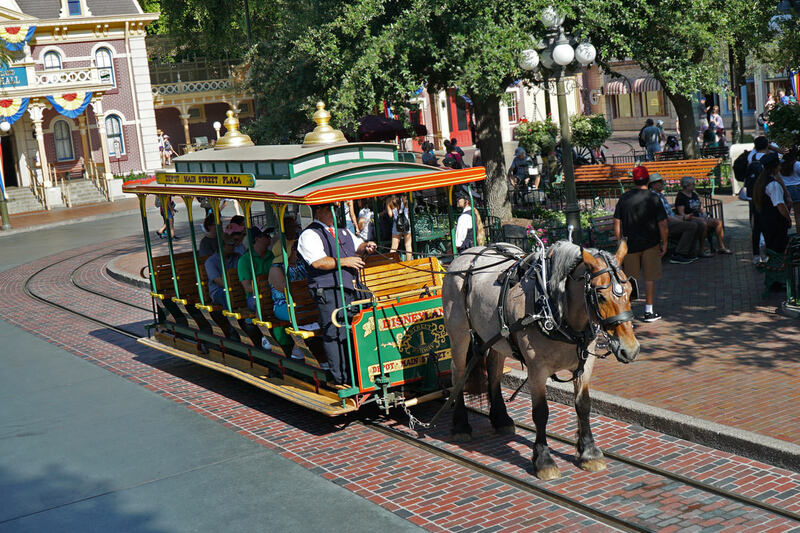 The streetcars were on hiatus for three months while crews replaced the old, worn tracks and lined them with decorative bricks, providing a better surface for the horse's hooves to walk on. 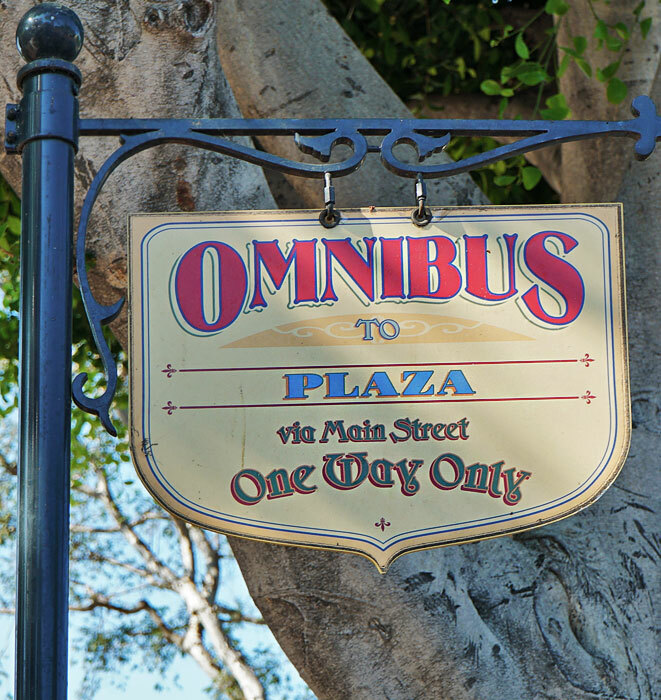 The Ominbus arrived on Main Street in the summer of 1956. 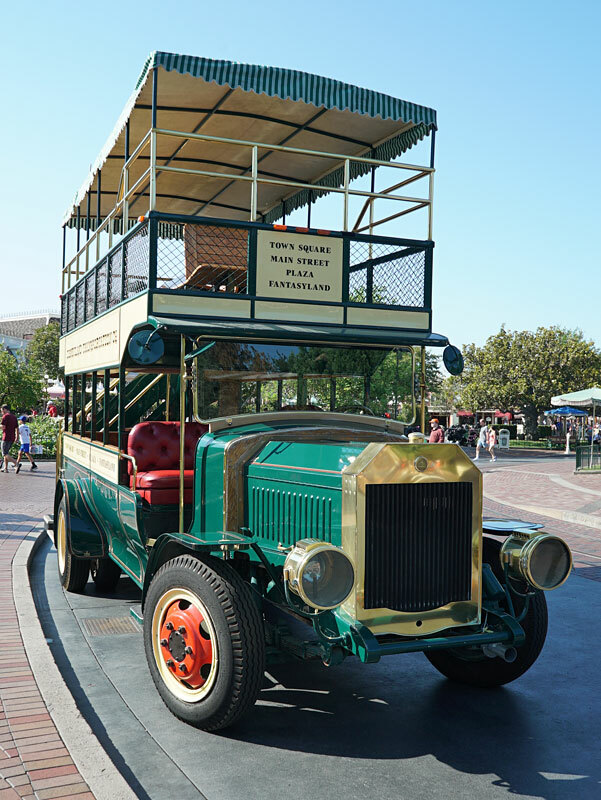 This colorful double-decker bus was modeled after the buses that toured Manhattan during the 1930's. This vintage vehicle is equipped with modern machinery and capable of freeway speeds. The only actual antique part on it is the horn. 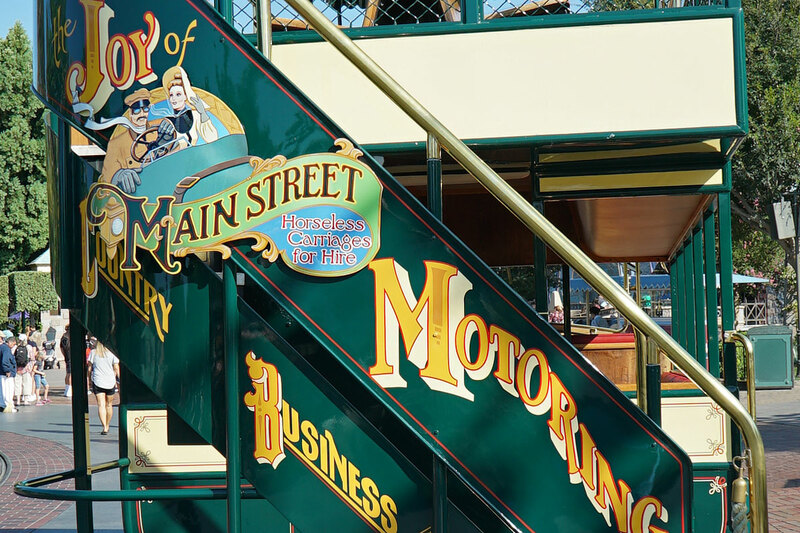 On the back of the bus is an ad for Main Street's Horseless Carriage. 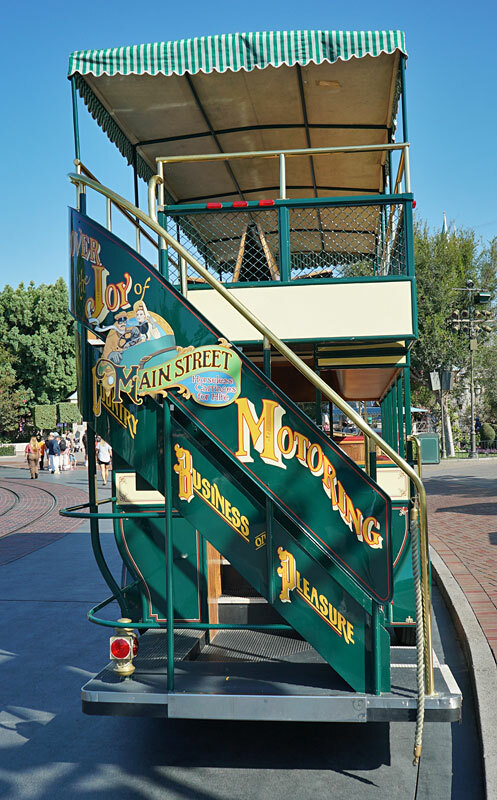 Take a ride down Main Street on the top deck of the Omnibus. I enjoyed the omnibus video. It gives a real 'you-are-there' feeling while going down Main Street. I had to hold my breath several times as the bus squeaked by the oblivious guests in the street. I thought for sure at least 3 or 4 would become roadkill. The bus's antique horn really gets a workout. I enjoyed the omnibus video. It gives a real 'you-are-there' feeling while going down Main Street. Thanks. 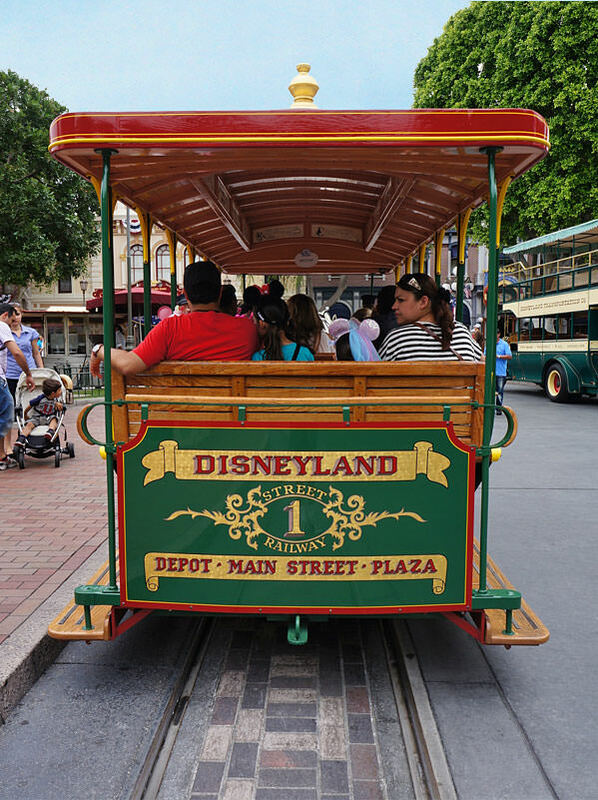 Over all the years I've been visiting Disneyland, I think this was the first time I've actually ridden it. 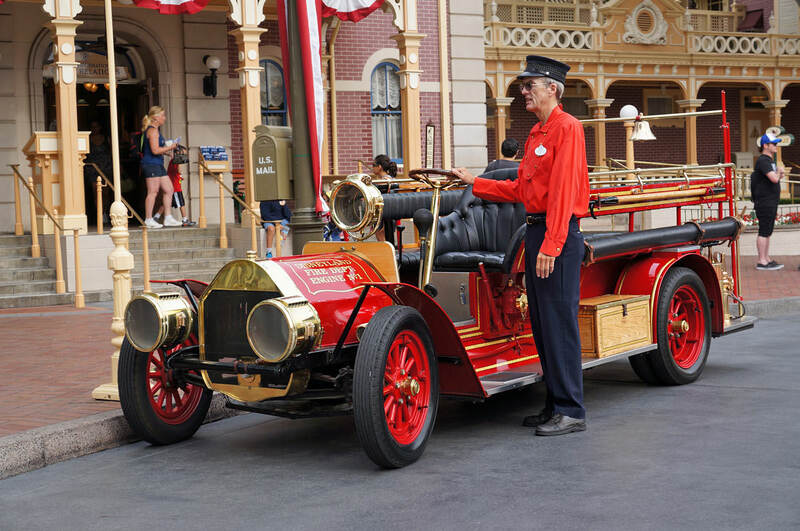 I still have yet to ride the Fire Engine and Horseless Carriage. 1. 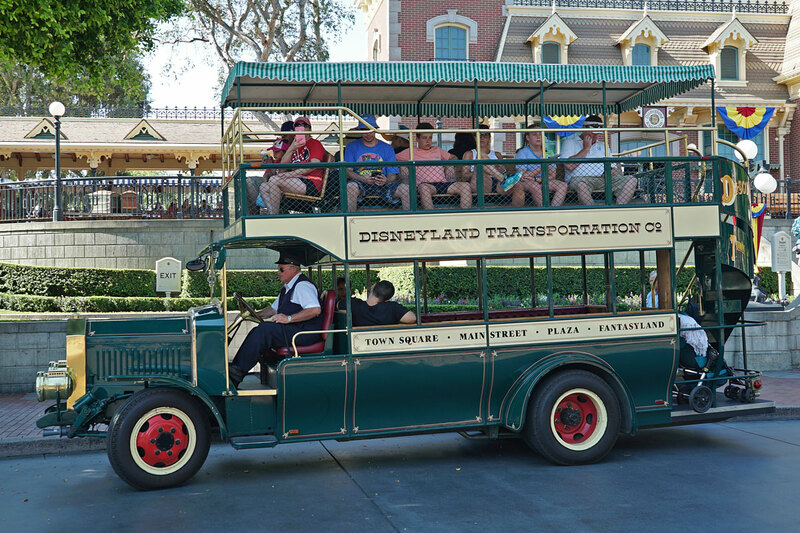 As many times as I have been to both US parks, I too have never rode any of these vehicles. On my list to make sure I do next time time I visit. 2. 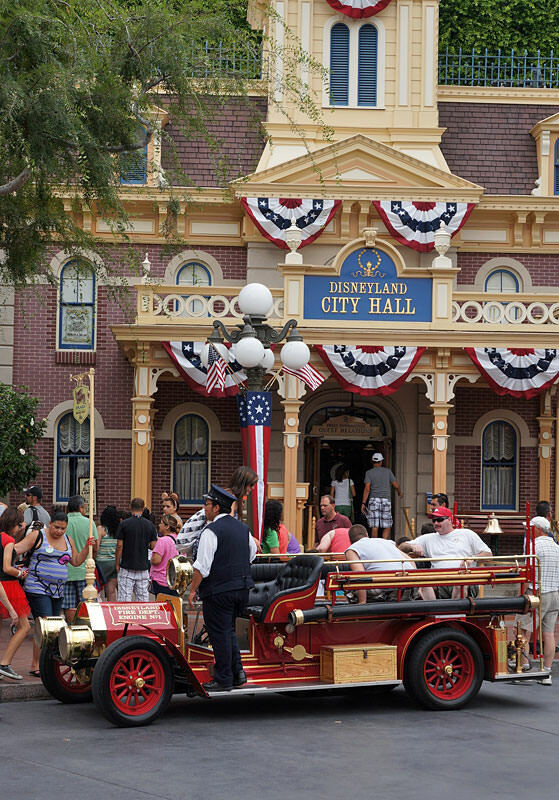 It was really weird how empty Main Street was. I don't think I have ever seen it like that, even on slow days. THX for sharing and inspiring me to take a MS vehicle ride. It was really weird how empty Main Street was. I don't think I have ever seen it like that, even on slow days. The benefits of arriving bright and early when the park has just opened. All my Disney time has been spent in Orlando, weird seeing how small the castle looks on Main Street here. Especially given how many years it's been, making this castle taller would seem to be something they could do easily (upward is the one direction they have left to build, I'm guessing). I mean, yeah I'm all for nostalgia and original structures, but Disney has never seemed to have a problem with making changes. Disney fans would flood the streets in protest if the company even hinted at making changes to Walt's original Sleeping Beauty castle. Besides, the smaller castle adds to the overall charm of the park, which is built at a smaller scale than the other Disney parks. It would simply throw off the scale of everything around it, especially the nearby Matterhorn. 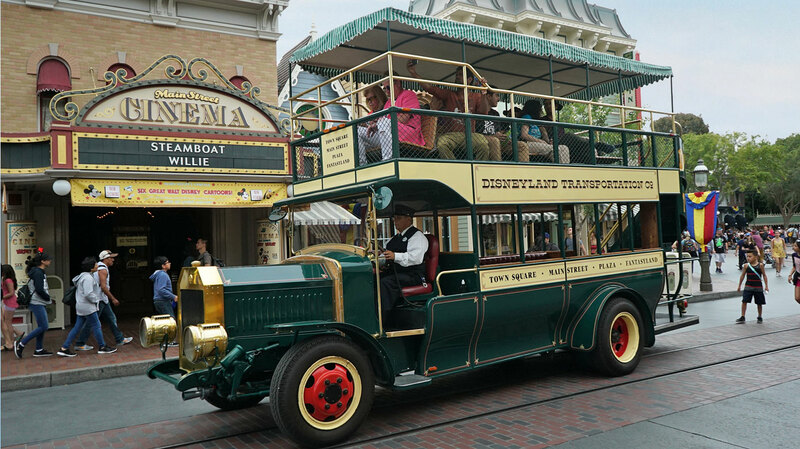 The Omnibus passes by the Main Street Cinema.